The upcoming directorial work of Prashanth Varma of AWE fame, Kalki has released its official teaser. The movie, which is touted to be based on real life incidents, has gone onto fetch great reviews. However, all the credits go to music composer Shravan Bharadwaj, for the kind of terrific BGM that he has given to this project. Without having a single dialogue, the Kalki teaser relies heavily on the BGM and the visuals, which are captured by Dasaradhi Shivendra. 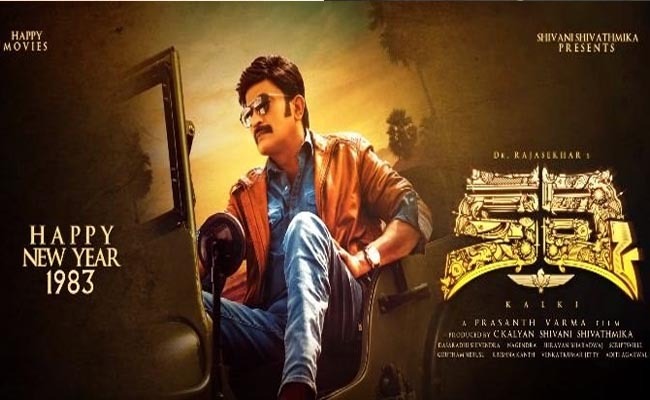 The presence of Rajasekhar has given a huge impact with the teaser giving signs of yet another movie offering a fantastic blend between visuals, music and action sequences. All set to hit big screens on this Summer, Kalki is sure to bring cheers to C Kalyan and Shivani Shivathmika, who produces the movie under the banner of ‘Happy Movies’. Rajamouli’s RRR: Shraddha Kapoor to pair NTR…?